Home agriculture business planning consumer Cooperative extension direct marketing Marketing marketing tools penn state Selling Valentine's Day Items--Who is Buying and How Much are They Spending? Selling Valentine's Day Items--Who is Buying and How Much are They Spending? 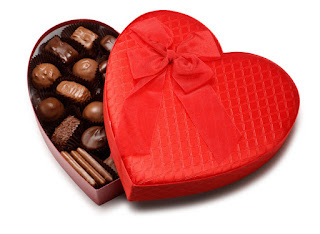 Good news for retailers selling Valentine's gifts-- sales are expected to increase this year over last (as per a Valentine's spending survey conducted by BIGinsight), but unfortunately not by much. Last year's spending averaged $126.03 per person while this year's projection is to only be $130.97, which is about $18.6 billion in the USA for consumers 18 years and up. This modest increase can make us assume that consumers are being cautious with their spending this Valentine's Day. What does that mean for ag retailers? Consumers will probably be more price conscious when picking out their gifts whether it's flowers, candies, dinner, etc. To lure customers in, you may want to explore special sales or deals. If you don't want to discount your current selection, you could try offering a special package that is lower in price than your normal selection without lowering your profit margins. For example, a chocolatier with an average total production cost of $0.50/ piece of chocolate may offer a 24 piece box of chocolates for $50 as their cheapest item. This may be out of the price range for many consumers, but the chocolatier could gain some customers by offering a 6 piece box for $15 (and would still be making a similar profit per piece). Since price and value will be important to consumers this year, you can expect comparison shopping to be very important. In the BIGinsight survey, 39.3% of respondents will be shopping at discount stores, 33.2% at department stores, 26.3% will be buying gifts via online shopping, 22.9% at specialty stores, 19.6% at floral shops, 11.2% at jewelry stores, 7.5% at specialty clothing stores, and 2.6% via catalogs. While the most money is not surprising going to be spent on a significant other ($73.75), other loved ones will be getting gifts too. Twenty percent of Americans are projected to buy Valentine's gifts for their pets, with a total spending projection of $815 million! Even if you aren't selling pet products currently, you might want to explore this market. 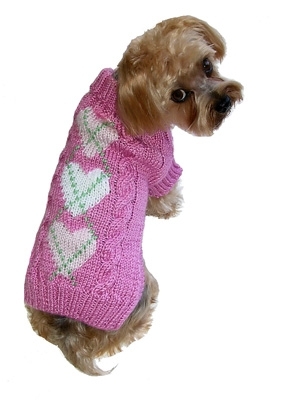 A bakery selling human goodies could add some special Valentine dog treats to their menu or a wool shop could offer heart-covered doggy sweaters. Be creative! The key take-away from this post is that even though consumers are being price and value conscious, it doesn't mean they aren't spending this Valentine's Day! Explore the possibility of adding lower cost items (like the smaller chocolate box mentioned above) without sacrificing your profit margins. Read more about Valentine's spending at nrf.com (National Retail Federation). As an ag entrepreneur, how do you prepare for Valentine's Day? Do you offer special promotions? What items beyond chocolates and flowers are customers looking for?